It seems I neglected to upload one of my Design Team projects created for Valentines Day. It uses the flourishing heart stamp to create the petals of the flower. 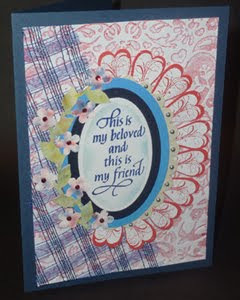 To see more details and instructions, please either click on my card to go to my website or click on this highlighted link to go to the Quietfire Design Project gallery page.